Look in the railway section of any bookshop and you can find whole shelves full of nostalgic books about lost rural branch lines. The villain in these books is Dr Richard Beeching, who was appointed chairman of the board of the nationalised British Railways in 1961 and who in 1963 published a report entitled The Reshaping of British Railways whose contents have been argued about ever since. Not a railway man – in itself a crime in the eyes of railway enthusiasts then and since – Beeching had been technical director at chemical conglomerate ICI before being offered the British Railways post. His brief was to find a way to make the railways commercially viable at a time when passenger numbers were declining and they were losing increasing amounts of money. He proposed to do this by closing 5,000 of the 17,830 miles of track, and a third of the 7000 stations. His idea was that proper investment could then be focused on what was left – a fact which is often ignored by his critics. Even at the time Beeching was aware that his cuts would be controversial. “I suppose I will always be looked on as the axe-man, but it was surgery, not mad chopping,” he said in later life. To be fair to Beeching, the idea that some lines needed to be closed was neither new nor confined to the UK. Almost every country with a developed railway network was trimming its lines at the time. France shut huge numbers of rural branch lines and in the US the railways practically disappeared as a viable form of passenger transport. So the cuts in Britain were not unique, and nor were they the most savage. Beeching’s report was also met on publication not with criticism but with praise. “Unanswerable. Dr Beeching has shown brilliantly how the railways may be made to pay,” said The Times, quoted by Matthew Engel in his book Eleven Minutes Late (see Further Reading). The Daily Mirror praised the plan as “Beeching’s blockbuster”. The plain fact was that in the early 1960s railways seemed to be on the wrong side of history. The rise of cars and buses had already eroded passenger numbers in the 1930s but had then been interrupted by the Second World War. For a period after the war car ownership also remained low but in the late 1950s it took off. Bus services were also at their zenith, not yet hampered by traffic congestion. Road transport looked like the future in 1963. The M1 motorway had opened in 1959 and it was regarded as modern and efficient, while by contrast railways, battered by the Second World War and suffering from underinvestment, were tatty, slow and old-fashioned. It probably did not help that Ernest Marples, the Conservative transport minister who appointed Beeching, was emphatically pro-road, having made his fortune by road construction (including being one of the main contractors on the M1). Many rural branch lines had also become uneconomical. While we imagine people using the railways to travel from one side of the country to the other, most passengers in the Victorian era actually used them for local journeys - typically to a nearby city or town. In the 1870s the average journey length was just 10 miles, and most of the growth in passengers in the second half of the nineteenth century was short distance. It was this local traffic that was lost to bus and car in the first half of the twentieth century. One also has to remember that a lot of places were smaller than they are today. Many rural towns ballooned in size as new housing was built in the late 1960s and early 1970s, and then again in the 1980s, making Beeching's decision to cut their rail services seem perverse in retrospect. An example is the line from Guildford to Horsham (see Lines we lost), which passed through now populous places such as Bramley, Wonersh and Cranleigh. Today they seem obvious candidates for railway services to London, yet all were much smaller in the late 1950s when this line was described as "pursuing a bucolic and uneventful existence". No great surprise, then, that it closed in 1965. There there was freight. This had been a key contributor to the income of the Victorian railway companies, with rail the only viable method for transporting most items to most places. This was particularly true on branch lines, though even London termini had large freight operations, now long forgotten. St Pancras, for example, was built at first floor level to allow enormous warehousing for beer and other items to be built beneath it (this is the area now occupied by the new Eurostar station check-in and associated shops). Meanwhile, Paddington had a vast freight yard just to the north of it, which has now been redeveloped into flats and offices, and the same is now happening to the former goods yards at Kings Cross. Much of the 2012 Olympic site was also once freight marshalling yards. In rural locations the station was an absolute lifeline, the route by which all cargo and parcels arrived. Pluckley, for example – now a classic un-staffed rural halt, apart from a ticket office open for a few hours on weekday mornings – would have had in Victorian times a stationmaster, two clerks, two signalmen, two porters who doubled as shunters, and a plate layer or lengthsman who maintained the track. All but the last would have spent a lot of their time dealing with freight – booking it in and out, loading or unloading wagons, shunting them in and out of sidings that have now long disappeared, dealing with parcels. So important were railways to freight that they were by law common carriers – that is, they had to carry whatever was presented to them. But as Christian Wolmar points out in his excellent history of the railways, Fire & Steam (see Further reading), by the 1920s truck firms were springing up which had no such restrictions and could pick off the must lucrative business. Many of these firms had been started by First World War soldiers who had learned to drive in the army and acquired surplus military trucks on the cheap at the end of the war. Meanwhile the railway companies were forbidden by the government from getting into the road haulage business, except for short distance feeds to their stations. British Railways (which was created in 1947 when the remaining four railway companies were nationalised) was not relieved of its common carriage obligation until 1957. By that time the decline in rail freight had become a rout. The old model of loading small freight consignments into wagons, which might then be marshalled and shunted several times during the course of a journey, was no longer viable. Unfortunately, British Railways was slow to realise this and under a 1955 government modernisation plan instead invested £85 million (about £1.6bn in today’s money) in automating the process. Thirty massive freight yards were constructed around the country, using all the latest technology, but this could not hide the fact that road haulage was less complicated and more efficient. In the end, Beeching was right in saying in future rail freight would be confined to full trainloads of cargo, such as coal, aggregates or containers. The loss of freight meant that many rural branch lines were no longer viable, and it didn’t help that railway costs were also rising. In the Victorian era working on the railway was a prestige job – a stationmaster was an important local figure – but that also meant that staff could be made to work horrendous hours – often from early in the morning till late at night, six days a week. From the 1890s onwards unionisation changed that and increased wages. The first national rail strike was in 1911 and there were two more in 1924 and 1926. Costs were just 25 percent of revenues in the early days of the railways: by 1900 they were 62 percent and by the late 1930s 81 percent. By Beeching's time they were more than 100 percent. Many Victorian railways had had little idea of the profitability of their branch lines anyway. They tended not to keep figures on a line by line basis but instead looked at the revenues of the whole network. It was the more rigorous accounting in the modern railway that highlighted which lines were loss-making. One last factor was the competition between the many Victorian railway companies. The British Railways Pre-Grouping Atlas (see Further reading) lists a staggering 150 different names, though some of these were joint ventures between railway companies already on the list. Such competition produced both duplication (two companies operating similar routes) and lines built largely to keep other railway companies out (see A miraculous survivor). Now the railways were under one nationalised entity it made sense to eliminate some of these. All these factors had been building throughout the twentieth century and as early as 1914 they had resulted in 200 miles of line – mainly special freight lines – being closed. According to Wolmar, between the two world wars another 1,240 miles closed - six percent of the total network - and of the 19,414 miles British Railways inherited in 1947, a further 1,500 miles had been shut by 1962. Beeching’s plan was based on what seemed like logical analysis at the time. He did a traffic survey which found that a quarter of the fare income generated by the railways came from just 34 stations, or 0.5 percent of the total. Half of the 17,830 miles of line carried just four percent of the traffic. 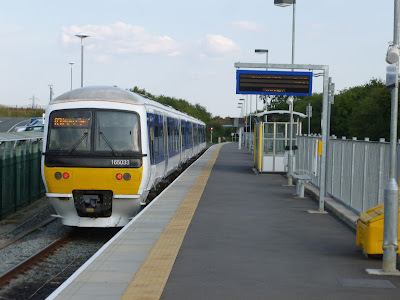 At his own local station – East Grinstead – which at that time had connections to Three Bridges and Tunbridge Wells as well as to London (see A miraculous survivor), he found that 950 passengers daily went to London, 300 to Three Bridges and 25 to Tunbridge Wells. Put like this, it seemed obvious to shut the lines to Tunbridge Wells and Three Bridges. (A joke at the time said that Beeching had kept open the line he used each day to get to work, and shut all the rest). Later critics of the Beeching report have pointed out that the very same argument could be made about the road network, however. Rural roads carry a tiny percentage of the national total but no one argues that they should be allowed to revert to cart tracks as a consequence. Instead they are seen as vital infrastructure which the government must invest in and maintain. Yet if government money supports the railways, it is seen as a subsidy. As it was, it was not until 1968 that it was explicitly recognised that some public transport deserved government subsidies. Beeching’s other failings, as Wolmar points out, were to ignore network effects – how much traffic branch lines contribute to main lines – and the external cost benefits of a railway line. Does it stimulate the economy, create jobs in the towns it serves? Does it reduce deaths from road accidents and so save the health service money? Today we take this kind of argument for granted. For example Brighton, which has a fast train to London, is more prosperous than Hastings, which does not. As it was, Beeching cut important towns off from the railway just to save a few miles of track. There was also an almost wilful refusal at the time to consider whether branch lines would have been more viable with simplified operations. Experiments in the late 1950s and early 1960s showed that rural lines could pay their way if diesel railcars replaced steam trains, level crossings were automated, and staffing at stations reduced to the minimum. Yet nearly all the lines that Beeching closed still had fully staffed stations. There was a particular failure to realise that with the imminent end of freight traffic, smaller stations could operate without any personnel, as is common today. Meanwhile electrification had dramatically reduced costs and increased passenger numbers to the south of London (see The sparks effect), but this experiment was not repeated elsewhere. Despite this, many of the lines shut before and after Beeching probably did need closing. Matthew Engel in his book Eleven Minutes Late (see Further reading) cites the very scenic line across Dartmoor to Princeton, home of Dartmoor Prison, which was marked for closure in 1955. The Prison Commission objected, but then had to admit it transported both its prisoners and its coal by road. Meanwhile fierce protests against the closure in 1954 of the line from Oxford to Woodstock (where Blenheim Palace is situated) was undermined by the fact that on average only five people travelled on each train. (Woodstock’s closure makes it all the more amazing that the even more remote Hanborough survived because, like Charlbury, it is on the line to Worcester). In all, it has been estimated that of the 6,000 miles of line that shut in the 1960s, 4,800 would have closed anyway, however emotionally attached some people were to them. The 1,200 that should not have been would probably include the Great Central line from Marylebone to the Midlands (see Thames and Chilterns), which was the only line in the country with tunnels big enough to take continental freight trains, and the route around the top of Dartmoor from Exeter to Plymouth. The latter line was shut because the existing route – Brunel’s dramatic railway around the Devon coast at Dawlish – was considered sufficient. But running beside the sea, Brunel’s line causes endless corrosion problems in locomotives today, and - as was seen in February 2014 - is vulnerable to being washed away in storms. Devon County Council is now actively working to reopen lines from Plymouth to Tavistock and the rest of the line around the top of Dartmoor could follow. 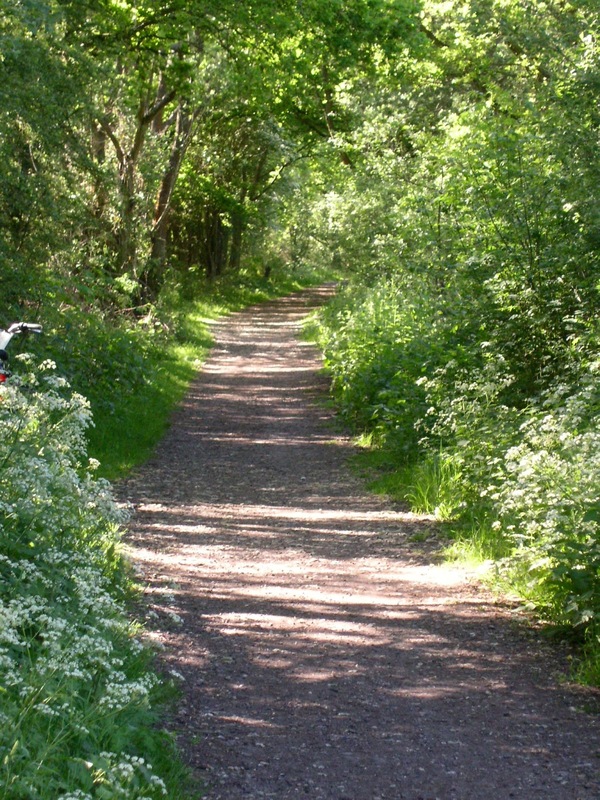 Beeching's decision to close the line from Oxford to Cambridge – which ran through the just-created city of Milton Keynes – was also not the brightest of ideas: the line to Bow Brickhill and Woburn Sands is a small part of this former route that still remains open, while the Oxford to Bletchley stretch is now being rebuilt. In the south east, the loss of the Uckfield to Lewes and Eridge to Tunbridge Wells links (the latter now the Spa Valley Railway) are particularly galling (though it could have been a lot worse: see A miraculous survivor), while the East Grinstead to Haywards Heath via Horsted Keynes line (now part of the Bluebell Railway) would today be a valuable by-pass route for Gatwick if it was still part of the national network. The Alton to Winchester line (now partly occupied by the Watercress Line: see Lines we lost) would also be a useful alternative route for the main Waterloo-Basingstoke-Southampton line, while Wareham to Swanage (now The Swanage Railway) would also surely be well used. Proof that some of the lines cut by Beeching could have been profitable if they had remained open comes from places where closures have been reversed - particularly in Scotland and Wales. The line from Edinburgh to Tweedbank - a reopening by the Scottish government of part of the Waverley Line from Edinburgh to Carlisle - had 132,000 passengers in its first month of operation in September 2015, while the restored Welsh valley line to Ebbw Vale has seen double expected traffic. In retrospect one wishes British Rail had left the track of closed railways in place so that closure decisions could be revisited later. But on the other hand it could easily have been a lot worse. Beeching actually produced a second report in 1965, suggesting reducing the railway to 7,500 miles. For his pains he was dismissed by the new Labour government of Harold Wilson, which nevertheless continued with the cuts in his original plan despite having campaigned against them in opposition. The last line closures did not finish till the early 1970s. But some dramatic closure schemes were rejected, including one to close St Pancras altogether and another to turn Hungerford Bridge (the one carrying the tracks to Charing Cross) into a road bridge. Even in the 1980s there was a threat to close the Settle to Carlisle line in the north of England because one of its viaducts needed replacing, and in 1982 the Serpell Report presented six options to Margaret Thatcher’s government, one of which would have cut the 10,370 miles of railway still left to just 1,630 – London to Glasgow, Newcastle, Cardiff, Bournemouth, Portsmouth, Brighton & Eastbourne, Dover, Southend and Norwich, with even the majority of London commuter lines being axed. Thankfully, the report caused a furore that even Margaret Thatcher could not ignore, and the railway network has been left alone - and even somewhat expanded - in the years since. As it happens, 1982 also marked the low point in passenger numbers, which have been climbing ever since and in 2016 reached an all time record. Whatever one thinks of privatisation - which happened in 1996-7, creating the current franchise system - it is impossible to imagine a Beeching or Serpell being taken seriously now. Railways are finally seen as part of the future.